A copy of the book signed by us, dedicated to you or a friend. Please let us know how you’d like us to personalise the signing of your book. I can’t recommend this book HIGHLY enough! It is a delight to read, and has lots of short (15 minute!) practical activities (a.k.a. experiments) to help you prioritise, reframe and create a life that you love. Thanks to this book, I now DO have time for the things that are most important to me in life and I’m a happier, more positive version of myself as a result! This book has changed my life! I’ve been able to make time for more joyful things I just 15 minutes a day. This has and a fantastic flow on effect to my family as I’ve been happier for this 15 minutes a day, a must read book! This book is simply brilliant, I’d go so far as to say its the best personal productivity book I’ve read. We’ve all come to believe that change requires big chunks of time. This book shows that you can achieve a lot in just a few short minutes. I love the way the book combines storytelling, a framework of original concepts and the latest research with simple but powerful and effective exercises. I was so taken by the book that I’ve signed up to do the 90 day My 15 Minute course, which I am just loving too. Do yourself a favour and get a couple of copies, because after reading this you’ll want to share it with others! It’s fabulously practical, with everything from simple techniques to free up time in your day, to stories and exercises that prompt deep reflection and change. 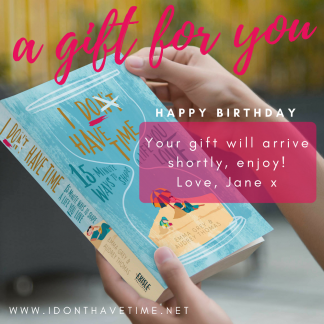 This is not your average ‘self-help’/motivational book – often when I read these types of books I ‘get it’ intellectually, but don’t put much of it into meaningful action because it feels like an overwhelming change. With IDHT the simplicity of some of the experiments and the fact you can start to experience change right from the first experiment means it will have real, tangible benefits. If you’ve ever felt overwhelmed, stressed, too busy, wanted to find some ‘me time’ or thought ‘I don’t have time’ to do the things you REALLY want to do (or know that you should do, for your own health) then this is the book for you. I’m ready for a new start. This book is a great way to look at all the different aspects of my life (work, home, relationships, finance, fun etc) and make sure I’m living the way I want to and not just letting life drift along without me noticing. It’s entertaining if you want a quick read, but I recommend taking your time, doing the 15 minute experiments that are spread throughout the book, and stopping to think every now and then. I’m feeling inspired and ready to rock a brilliant year. I’m planning on keeping it handy and checking in every so often to keep myself accountable. Easy to read, very insightful and highly recommended. This is the kind of book you CAN justify investing in and taking the time to not only read, but interact with, through a range of guided activities demonstrating what’s really important in our days of busy-ness. It’s a truly brilliant concept wrapped up in the experience of two amazing women who use anecdotes to promote the notion that your wellbeing is within your own two hands – or feet, if you follow the first suggestion on page 15! Amazingly helpful, quick and simple to read. 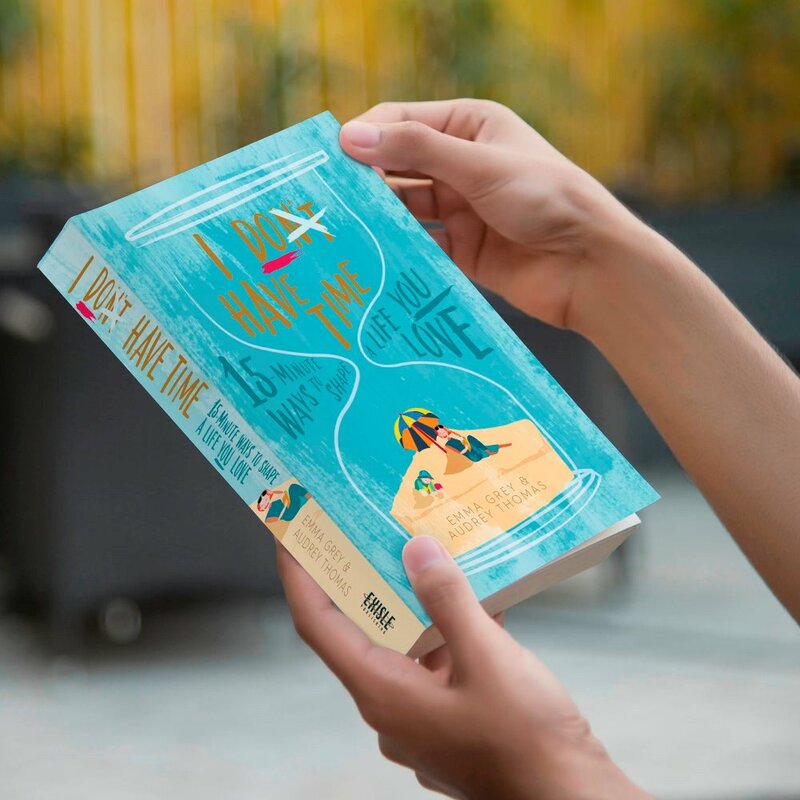 What more can you ask for in a self help book for people who feel that they no longer have time for anything but being busy anymore. Written in a down to earth style by real women with real stories to share, it will have you nodding and laughing one moment and in tears the next. The achievable experiments can be done when you feel you need a little reminder that you actually do have time. What a breath of fresh air this book is, written by two people who are real, they have both so bravely bared their souls to the reader, only wanting to help and improve the reader with their experiences, so many laughs and some tears, all in all one of the best I have read for a very long time. Well done ladies and thank you. I enjoyed this book when I first read it. When I started to do the tasks, scattered throughout, I enjoyed my life even more. Highly recommend. It’s a great read. It made my life more joyous and calm. I don’t read a lot of self-help books. I usually find I feel less capable, less motivated and more down on myself at the end of the book than the beginning. But this book was totally different! I found myself laughing with the authors as they shared their experiences and exposed their human frailties. I could see myself reflected in their lives, my struggles, my embarrassment, my hopes and fears. And they offered solutions (experiments) that were practical, achievable and often pleasurable. Big things got broken down to smaller chunks, and suddenly they weren’t towering over me anymore. The authors are so honest and open that you get to know them both. Picking it up didn’t feel like a scary journey into my fears – if felt like I was curling up on the couch with a cup of tea and a chat with friends, only these friends were suddenly the font of all knowledge and my own personal cheer squad. This book is for anyone who wants more time, more laughter and more confidence… so… everyone! 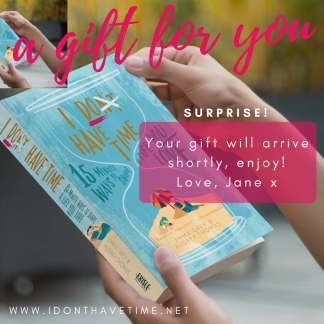 I Don’t Have Time is a book that gets your grey matter working. It is a fun, interesting and practical read, with an easy to follow format that instantly draws you in. It explains the very real human issues of busy-ness as a status symbol, which either keeps you on an endless treadmill of busy, or procrastinating your way into stagnation. This book encourages you to ask yourself what you really value, and then shows you how to get more of it in your life – in achievable 15 minute blocks. We can all do this, and create more of the life we want to be living.